Fonda Irene Lofgreen Busby, 72, of St. David died peacefully Monday, July 23, 2018 in her home surrounded by her family. She was born August 12, 1945 in Tucson, Arizona to Dewayne Niels and Theadues Jones Lofgreen. Fonda graduated from St. David High School and attended U of A . This is where she rekindled her "friendship" with Marven Busby. They were married October 12th, 1966, and have been married for 51 years. They were blessed with three children:Tiffany Dawn (deceased) Todd Niels (Anabel) and Tawna Jo. Fonda loved living in St. David. She enjoyed sewing, cooking and baking. Fonda was known world wide for her cookies. There wasn't a missionary that left St. David, as well as her nephews, that didn't receive these cookies out on their missions. Anyone that stopped by the house knew they would not leave empty handed. Fonda was a great supporter of community as well as St. David School events. She stayed a life long supporter of U of A whether they were winning or losing! 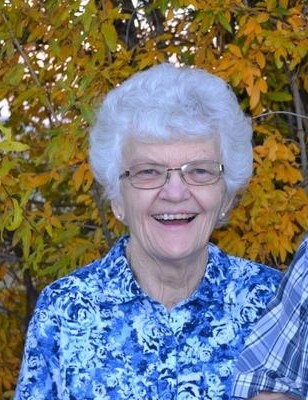 Fonda was a devoted member of the Church of Jesus Christ of Latter-day Saints, and found great joy in serving those around her. Fonda was blessed with 2 sisters, Wilda and Art (Dillman) and Georgetta and Vic (VanSickle), four granddaughters and numerous nieces and nephews. She was preceded in death by her parents, Dewayne and Theadues Lofgreen, one daughter, Tiffany Dawn, and a brother-in-law, Art Dillman. A viewing will be held at 1:30 p.m. at the Church of Jesus Christ of Latter-day Saints Saturday, July 28th, followed by the funeral services at 2:30 p.m. Interment will follow at the St. David cemetery. All are invited to attend.